Raiffeisen Bank ended the first quarter of this year with a net profit of RON 212 million, more than double compared to the first quarter of 2017. The total assets of the bank grew by 13 percent to RON 37.12 billion and loans to customers grew cu 15 percent in net worth. Loans to large and medium-sized corporations increased monthly in 2018 (an increase of 18 per cent), mainly from project financing or overdraft loans. SME loans were mainly supported by the Cosme program, with an increase of 21 percent. 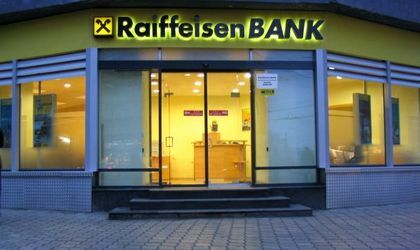 On the savings side, the deposits attracted by Raiffeisen Bank increased by 17 percent in the first quarter of 2018 (year on year) and exceeded RON 30.4 billion. “We have very good results for the first quarter of 2018, which are based both on credit growth, especially for corporations and SMEs, and on the increase in deposits attracted from our clients. We thus have the satisfaction of making an important contribution to the financing of the Romanian economy,” said Steven van Groningen, president & CEO of Raiffeisen Bank. Bank’s revenues reached RON 554 million lei in the first three months of 2018, up 16 per cent. The bank’s operating expenses increased slightly compared to March 2017 (RON 320 million at the end of the first quarter of 2018). 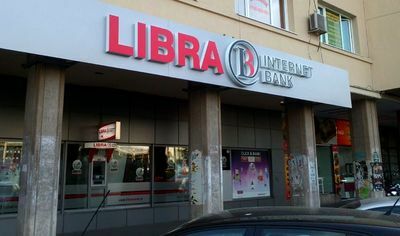 The bank will continue to invest considerable amounts in the digitization process, since the future means flexible, fast, easy to understand and affordable banking products and services. Meanwhile, the amounts spent by the bank on complying with all European and national regulations that entered into or will enter into force in 2018 are significant. At the same time, costs in the economy have increased, mainly due to wage increases and the inflationary process, and these elements influence the bank’s operating costs. The non-performing loans ratio reached 5.3 percent at the end of March 2018 (6 percent in December 2017 and 8.3 percent in March 2017). At the beginning of 2018, Raiffeisen Bank has launched the fingerprint option for payment authorization in Smart Mobile (for Android and iOS), as well as the Face ID option (for iPhone X). The number of users of the mobile banking app increased by 78 percent compared to the same period last year. Overall, there are more than 500,000 active clients for online and mobile banking. In the first three months of this year, the bank’s customers made over 4 million online transactions and logged in more than 50 million times. Customers log in more than 8,000 times every hour. The number of customers who opted for a “ZERO Simple” or “ZERO Tot” current account bundle increased 12 per cent compared to the first quarter of 2017, a trend that confirms our strategy focused on product simplification and use of digital services. The number of online debit card transactions made by individuals was 30 percent higher compared to the first quarter of 2017. The bank is the leader of the credit card market with approximately 480,000 active cards as of March 31 2018, an annual increase of 10 percent. 95 percent of the amounts traded through Raiffeisen Bank credit cards are used in POS or online shopping. Private banking services is managing assets in excess of RON 5.6 billion for 1,400 clients who use advisory services, financial instruments and related services. The number of individual clients stood at 2 million, relatively constant as compared to March last year. The bank also has approximately 100,000 SMEs and 5,600 corporations. At the end of the first quarter of 2018, the bank had 5,186 employees (5,224 in March 31, 2017), 445 outlets across the country, more than 1,000 ATMs, 19,000 POS and 191 multifunctional machines.